Brand marketing or a corporate brand isn’t just about your logo, website, brochure or Facebook business page. Your brand is the source of a promise to your customer. It’s really all about making sure that everything you do as a company has a coordinated message and look and feel. Graphically, that means creating a logo, choosing a corporate color (or colors), a typeface, and often a photo or illustration style. Create Identity Package – letterhead, business cards, etc. 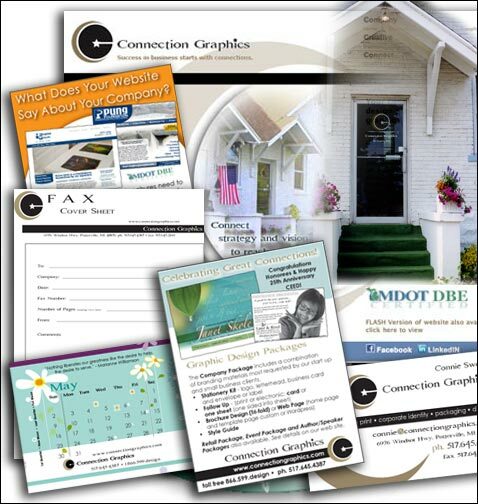 Design and print brochures, sell sheets, one sheets, etc. Following is a quick brand marketing outline with questions for start-up businesses or existing business who are ready to evaluate their brand marketing. Brand Position: What does your company do / who are your customers? What unique value do you bring? Brand Promise: What does your company stand for and offer to your customers every single time? All brand marketing will be based on this promise. Do you want to be known for high quality? Giving back to the community? etc.? Your brand marketing needs to communicate this clearly. What is your brand story: Share your company history here, why were you founded? How does your story build your credibility?, etc. Brand Associations / Visual elements: The physical assets of your brand, name, logo, website, font, tagline, etc. Effective brand marketing will reflect your brand promise. and support your unique selling position. We can help you establish your brand through all forms of media for successful brand marketing. 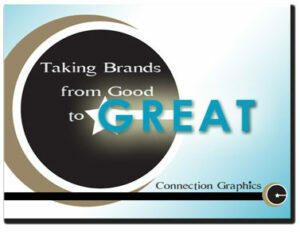 To read more about ‘Taking a Corporate Brand from Good to Great’ read the 4 part article by Connie Sweet.